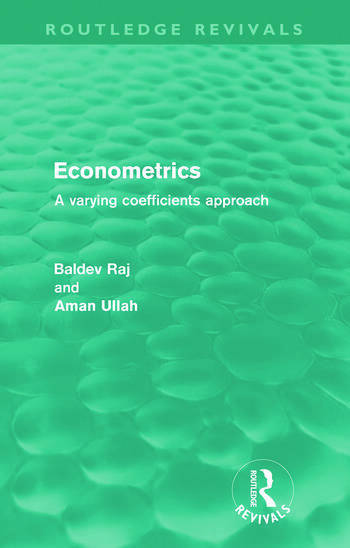 Originally published in 1981, this book considers one particular area of econometrics- the linear model- where significant recent advances have been made. It considers both single and multiequation models with varying co-efficients, explains the various theories and techniques connected with these and goes on to describe the various applications of the models. Whilst the detailed explanation of the models will interest primarily econometrics specialists, the implications of the advances outlined and the applications of the models will intrest a wide range of economists.